Promotional products are powerful tools which make up an industry that is extremely vast and growing rapidly. They can solve your marketing, public relations and internal problems and motivate your targets, be they consumers, businesses, volunteers, benefactors, employees, communities, etc., toward your objectives and enable you to achieve your goals. 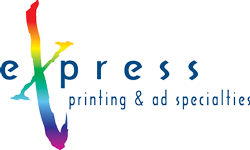 Advertising Specialties are useful or interesting articles of merchandise, usually carrying an imprinted advertising or promotional message, given with no obligation. 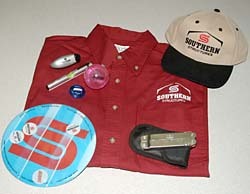 Ad specialties are also referred to as promotional products, giveaways and incentives, usually distributed in large quantities for an advertising-type purpose such as creating awareness/remembrance of a company, encouraging goodwill between a company and its clients or calling attention to a special benefit of a company or its products; usually without obligation.